Be sure to catch Grover Pro artists and top percussionists Rich Redmond & Mark Shelton on April 14th at the Percussive Arts Society – West Texas Day Of Percussion. 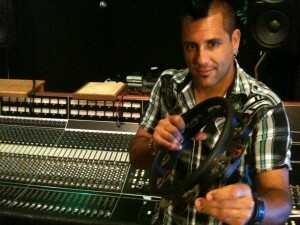 Rich Redmond is a top call recording drummer/percussionist based in Nashville. His versatile, dynamic, musical and rock solid drumming is the sound behind many of today’s top talents. He has worked country music’s top stars including: Jason Aldean, Miranda Lambert, Jewel, Trace Adkins, plus many others. Mark Shelton is a versatile, multi-percussionist, whose style blends influences from classical, jazz, folk, and pop. Mark is an avid “hand-percussionist” and has directed the Percussive Arts Society’s hand drumming jam sessions at PASIC. Both Rich & Mark are prolific clinicians whose presentations motivate and inspire hundreds of young percussionists around the world. These are two clinicians that you won’t want to miss!